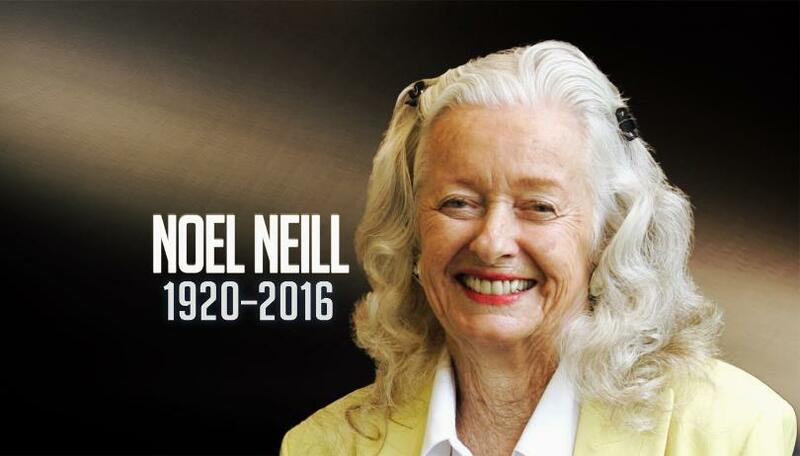 First off, I’m glad to see that Mr. Ward made that distinction of Ms. Neill being the first “live action” Lois Lane. (Not that I would have been surprised – with him being her friend and all….) It’s as if most writers either dismiss the talents of voice artists, or they must think the toons actually speak for themselves! All other manifestations of the fictional creative spark of Mankind: movies, books, audio dramas, etc, - they can be found in their own universes. So usually, the TV Universe will not concern itself with those comic book characters from the movies. 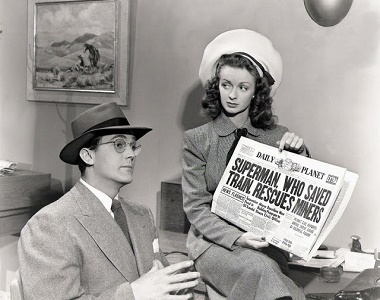 Of all the characters from DC Comics, the one who would be the exception to the rule would be Lois Lane as personified by Noel Neill. 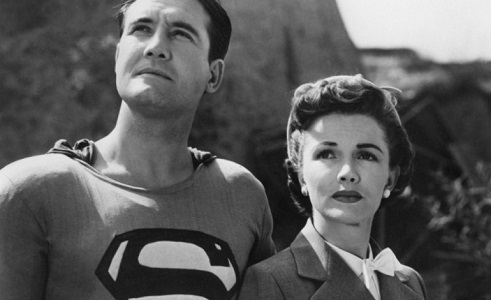 She began “life” in a dimension of the Cineverse, as seen in the 1947 serial starring Kirk Alyn as Clark Kent/Superman (with a second serial in which Supes battled Atom Man.) 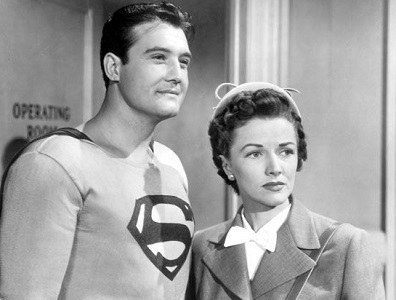 But then in the second season of ‘The Adventures Of Superman’, she became the Lois Lane of Earth Prime-Time, replacing Phyllis Coates who played Lois in the “Mole Men” movie and in the first season. This is a recastaway discrepancy that I always meant to tackle, and although I had my ideas on how to handle it, it is to my shame that I never got around to it while Ms. Neill was alive. Oh well. 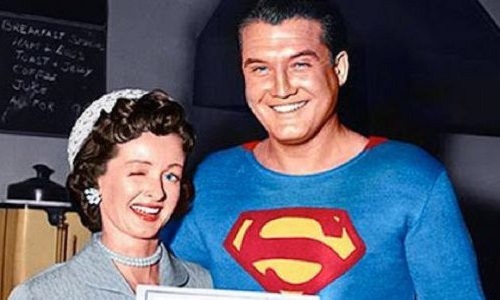 Better late than never I suppose…..
My splainin for how the first Lois Lane of the Cineverse came to be the most famous Lois Lane of Toobworld, and what happened to the original TV Lois, is pure speculation. 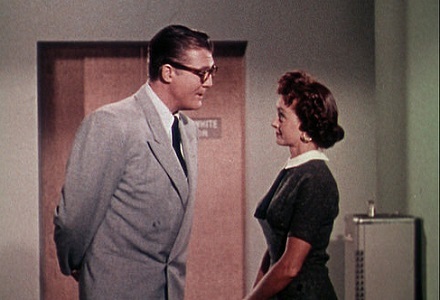 And as a matter of fact, I have several theories as to what may have happened to Phyllis Coates' character. (But this one is the best for getting Superman out of the TV dimension.) 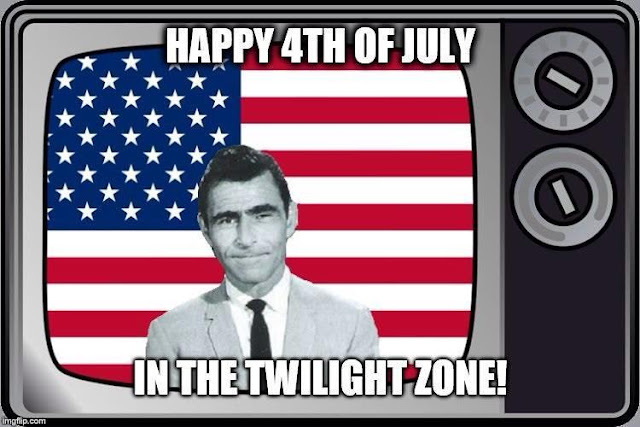 It’s something that never was seen on our TV screens here in the Trueniverse, and frankly, most of this theory is just to make it a bit more interesting from a creative standpoint. But I like it and it gave me the chance to throw the Doctor into it as well…..
For me, the major downside to ‘The Adventures of Superman’ (and I’ve written about this before) was the lack of villains to be found from the comic books. Instead we got an endless array of dumb thugs, personified many times over by Ben Welden. Where was Lex Luthor? Brainiac? And in this case, Mr. Mxyzptlk? 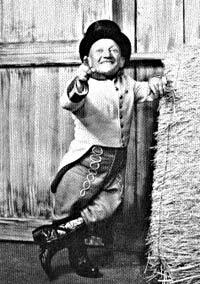 "Mister Mxyztplk" (as his name was originally spelled, originally pronounced mux-ITZ-pulk according to the title “Superman Family”) was introduced as an imp from the fifth dimension. Not being bound by our physical laws, he could do things that seemed to be magical. In his first appearance, Mxyztplk wreaked havoc across Metropolis by using his powers to pull all manner of pranks. No matter who played the Imp, he would have been the perfect “villain” to be the cause for the disappearance of the first Lois (Hereafter to be referred to as Lois-PC.) Using his “magical” powers, Mxy could have caused Lois-PC to be banished from Earth. Even worse, he could have banished her to some other Earth in another dimension. In the time period in which he was active*, Superman was probably the only TV character on Earth who could break through the dimensional vortex and visit the countless alternate Toobworlds in the Multiverse. 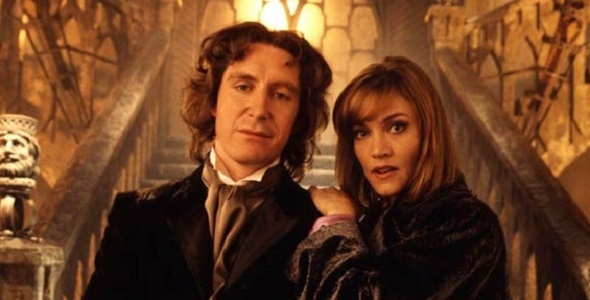 (At least the only one who could be seen on our TV screens at the time so that would exclude the Doctor.) 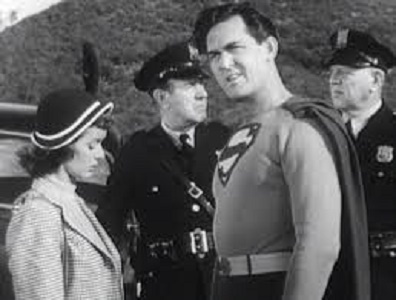 Stashing Lois away in some other dimension would keep Superman busy so that Mxyzptlk could get into all sorts of mischief on Earth Prime-Time without being interrupted. By flying super fast, Superman was able to pierce the veil between worlds and begin his desperate search for Lois-PC on as many of the myriad Toobworlds as he could. But when it came to breaking through the walls between universes, that was a different matter and far beyond even his capabilities. That’s when he had to call in the help of an old friend of his – a Gallifreyan Time Lord known only as the Doctor. His TARDIS could easily break through to the relative dimensions of other universes. 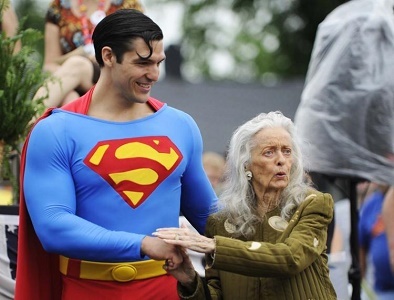 And that’s when the Superman of Earth Prime-Time met the Lois Lane of the Serial Cineverse. 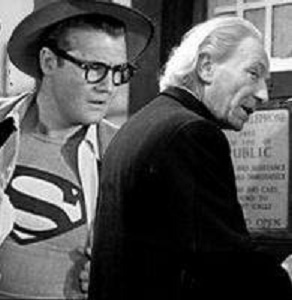 (As it is with the TV Universe, there are many sub-dimensions – and thus, several different Supermen – in the Movie Universe.) 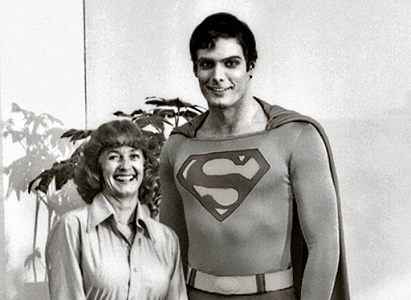 At the time he met Lois-NN, however, her life was in grave peril. Perhaps it was caused by Lex Luthor, teamed up with the Spider Lady, seeking revenge after their defeats by that world’s Superman. And where was that Superman? Since he was not seen again in Serial Cineverse after those two stories, it’s pozz’ble, just pozz’ble, that he was dead. Movie serials weren’t quite dead yet however**, so I don’t think it was a world-wide catastrophe in which everybody of that world was in danger of imminent death. It was only Lois-NN whose life may have been in danger… so much so that Superman and the Doctor had no choice but to evacuate her from her home-world. Or perhaps there was some kind of crossover with a different movie serial. 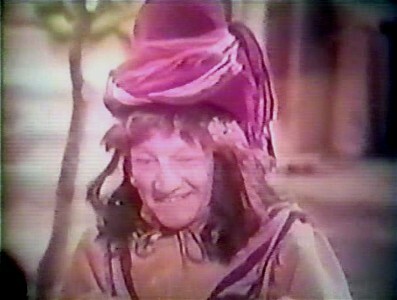 It could be that she was subjected to experiments by the Martian Mota, from the "Flying Disc Man From Mars" production. Or maybe her blood had been contaminated by a venom supplied by "The Black Widow", Princess Sombra. In either scenario, something drastic had to be done - like removing her from the atmosphere of her home-world because it had become toxic to Lois-NN after she was subjected to the poisons coursing through her body. Superman and the Doctor brought her back with them to the dimension of Earth Prime-Time where her life was no longer in danger. *** There she would have eventually accepted her fate and new world. 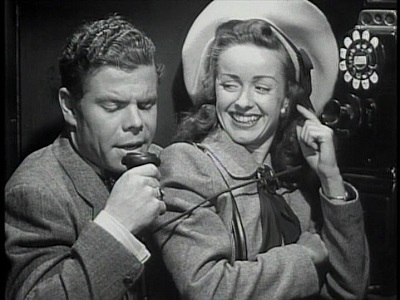 She would have had to adjust to the more noticeable changes between her two lives, most notably the change in appearance for her friends and family, especially Perry White, Jimmy Olsen, and Clark Kent. But at last she reconciled herself with that new life and even went back to work in the new configuration of her old job at the Daily Planet. But something about her rather traumatic experience put the bug in the mind of Lois-NN that there may have been a connection between Clark Kent and Superman; perhaps it was that comparison of the reporter and the Man of Steel of Earth Prime-Time to the memories she had of the “two” men from her Earth which made her realize that the differences were the same in both match-ups. It was only his superhuman ability to quickly think on his feet that helped Clark to protect his secret identity as Superman. 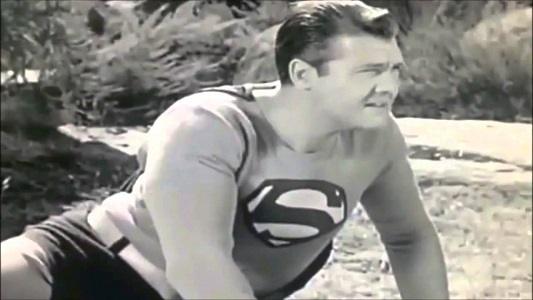 It all became moot after the death of Superman in 1964. 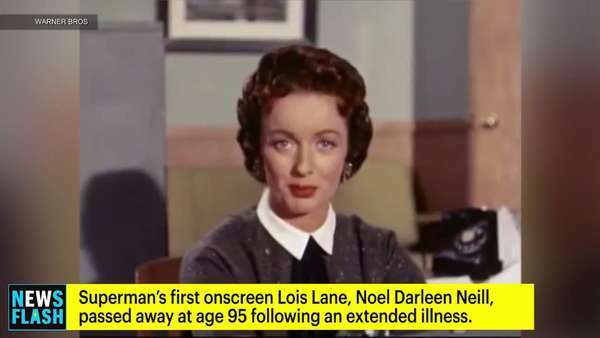 **** Overcome with grief at having lost the second Superman in her life, Lois-NN faded into anonymity, away from the prying eyes of the Toobworld populace. 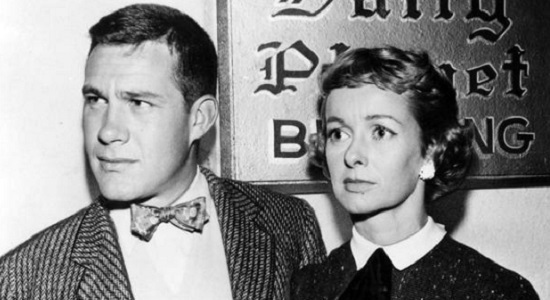 She may have even adopted several aliases and new life-styles in her later years to avoid the public. And that concludes my look at the mystery of the Lois Lane Recastaways of Earth Prime-Time… from the perspective of Lois-NN. 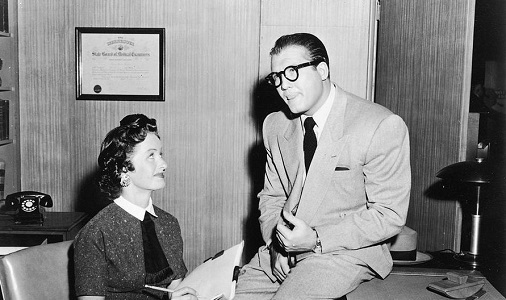 As to what actually happened to Lois-PC, we shall examine that aspect at a later date… perhaps on the birthday of Phyllis Coates, the only cast member from the show who is still with us. 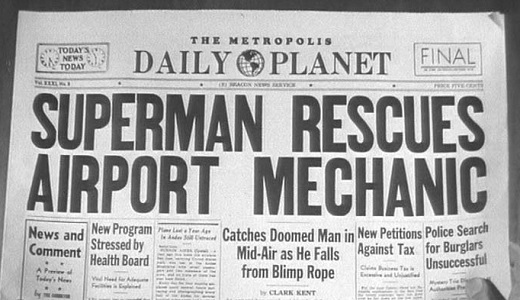 * Superman first revealed himself to the public of Earth Prime-Time in September of 1952, when he saved a man falling from a blimp. According to the leading Toobworld theory, his last known adventure was in 1964 at a Nevada A-bomb test site. Superman rescued two criminals hiding out there, named Ray Luca and Paulie Taglia. ** The last movie serial appears to have been the Western "Blazing The Overland Trail" from Columbia in 1956. *** Just as there was a difference in the chromosome make-up of the humans from the Serial Cineverse as compared to that of the Toobworld humans, so too there could have been a chemical difference in the atmospheres of both worlds. Whatever was afflicting Lois-NN in her original world, it was eradicated by the exposure to the atmospheric elements of Earth Prime-Time. Zambezia is the second most-populous province of Mozambique, located in the central coastal region south-west of Nampula Province and north-east of Sofala Province. It has a population of 3,85 million (census 2007). The provincial capital is Quelimane on the Bons Sinais River. 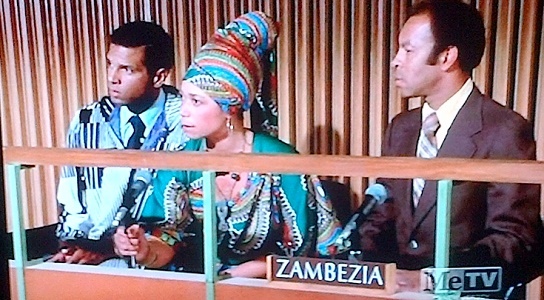 "MIND STEALERS FROM OUTER SPACE, PART TWO"
For Toobworld, however, Zambezia broke away from Mozambique at some point before December of 1977 and became an independent country, recognized by the General Assembly of the United Nations. 2016 TOOBITS AWARDS PREVIEW - "ENDEAVOUR" & "THE TEMPLE OF DOOM"
Well, whatever it is, I've given orders it's to be shot on sight. If it's turned from cattle to human flesh, there'll be no going back. Come across this sort of thing before, have you? In India, before the war. I was a young subaltern in the Colonial police. Not far from Pankot, where there'd been all that Thuggee business in '35. Man-eater had been stalking the fire track between Kot Kindri, Tanakpur, picking off villagers, herdsmen... children. "Indiana Jones And The Temple Of Doom" took place one year before "Raiders Of The Lost Ark"... in 1935. They land in India, where they come to a village with no children. The inhabitants explain that the Thuggee Cult of Pankot Palace has taken all of their children and their sacred stone that protects the village. They then lend the heroes elephants so they can reach the palace.